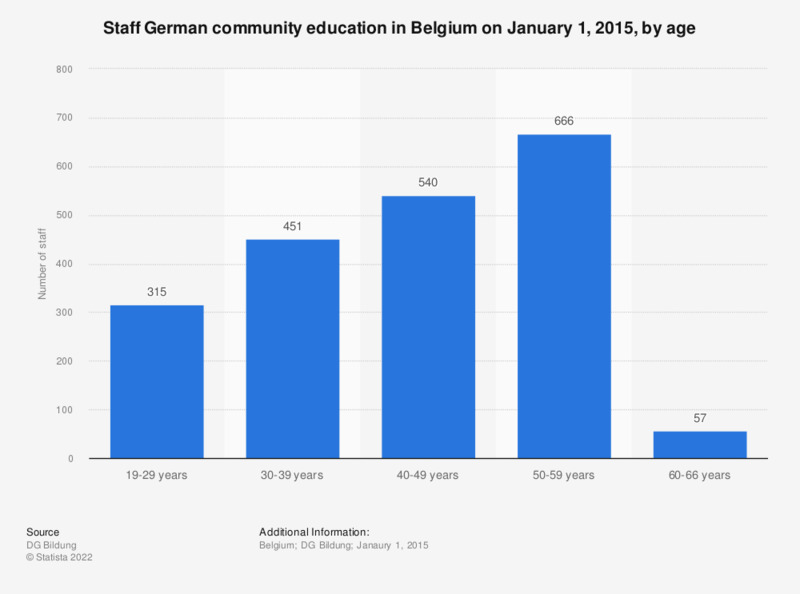 The statistic displayed above shows the staff in German community education institutions in Belgium on January 1, 2015, by age. On January 1, 2015, 666 people employed in German community education were aged between 50 and 59 years old. Are you in favour or not in favour of performance related pay for teachers? How prestigious do you consider, on a scale from 1 to 10, each of the following professions related to education?